The Center for Obesity Surgery of Dallas strives to offer the best, cutting-edge, safest and most effective procedures for our weight loss patients. As a leader in weight loss surgery, we are excited to be one of the first practices in the United States to offer a new and much less invasive procedure which offers substantial benefits to our patients. 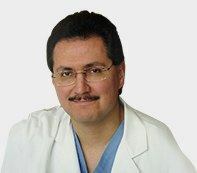 Dr. Victor Gonzalez is one of the most experienced specialists to be performing procedures with the StomaphyX. The StomaphyX procedure is a new and innovative revision procedure for individuals who have had Roux-en-Y gastric bypass surgery and have regained weight due to a stretched stomach pouch or enlarged stomach outlet. Approved by the U.S. FDA in 2007, the StomaphyX procedure reduces the stomach pouch and stomach outlet (stoma) to the original gastric bypass size without traditional surgery or incisions and with minimal recovery time. It is not performed as a primary method of weight loss surgery, but as a type of revisional bariatric surgery for gastric bypass patients. Why is the StomaphyX procedure performed? Although gastric bypass surgery is successful in achieving an average of 60 to 80% excess weight loss, some patients start to regain weight a few years after surgery. The stomach pouch and stoma can gradually stretch over time as the body’s digestive system becomes accustomed to the changes and the patient returns to unhealthy eating patterns. The StomaphyX procedure reduces the stomach pouch and stoma to a size similar to the original gastric bypass surgery, once again limiting food intake and slowing the emptying of the stomach into the small intestine. This results in earlier satiety (feeling of fullness) and more weight loss. Without having to undergo additional traditional surgery, StomaphyX helps gastric bypass patients eat less and lose more weight. How do I know if my stomach pouch or stoma has stretched? If you and Dr. Gonzalez suspect that your stomach pouch or stoma may have stretched, there is a simple procedure known as an upper endoscopy that can be performed to find out for certain. This out-patient procedure is performed by Dr. Gonzalez who uses a small scope with a video camera to measure the stomach pouch and stoma. For the procedure you will be lightly sedated, this will allow the scope to be guided down through the mouth and into the stomach pouch to take measurements. If you have already undergone an upper endoscopy, it may need to be repeated by Dr. Gonzalez unless specific measurements have been taken. How is the StomaphyX procedure performed? First, the patient is put under general anesthesia. Then, Dr. Gonzalez gently guides the StomaphyX device through the mouth and into the stomach under the visualization of an endoscope placed down the shaft of the device. Once inside the stomach pouch, sections of stomach tissue are suctioned into a small opening in the StomaphyX device which creates folds of tissue that resemble a pleat (called plications). The folds of tissue are then fastened together with suture-like fasteners (which resemble little blue staples) to hold them in place, making the pouch smaller. The amount of folds required depends on a patient’s anatomy, but usually a patient needs multiple folds. The StomaphyX procedure takes approximately 20-60 minutes, depending on the size of the stomach pouch and how much revision needs to be done. Typically the procedure can be performed on an out-patient basis, which means the patient can go home the same day or after an overnight stay. The recovery period is very minimal following the StomaphyX procedure. Since the procedure is done through the mouth, there are no incisions and no visible scars. Most patients can return to work in a few days. Your individual post-operative plan will be set-up by Dr. Gonzalez; this includes your diet, activity level, and your return to work. What is my diet after the procedure? In order to allow the pleats to bond to each other, patients are put on a liquid diet for two weeks. The first week consists of a high-protein clear liquid diet, the second week consists of a high-protein full liquid diet, the third week consists of a mushy regular diet, then the patient can return to solid foods. No long-term studies have been performed because the procedure is relatively new, but initial data suggests the risk and complication rate is relatively low, especially when compared to traditional revisional surgery. Two main risks are bleeding and perforation. Our StomaphyX program includes: the hospital fee, surgical fee, assistant fee, anesthesiologists fee, hospitalist fee, in hospital counseling by the dietician and bariatric coordinator, labs, chest x-ray, and up to one night stay in the hospital (family can stay also, and meals are free!). The cost of the StomaphyX procedure is less than that of other revisional surgeries. The StomaphyX procedure is designed for gastric bypass patients who never achieved adequate weight loss or regained weight after their initial weight loss. Eventually the StomaphyX procedure will become available for individuals with “virgin” stomachs. Although it is not yet possible to perform StomaphyX as a primary method of weight loss surgery, it is only a matter of time before the medical community develops an instrument that can reach the curves of a normal stomach. The StomaphyX procedure offers gastric bypass patients a safer alternative than previously available for gastric bypass revision. Without having to undergo another traditional surgical procedure, gastric bypass patients can have their stretched stomach pouch or stoma reduced to an appropriate size. The overall results of StomaphyX are earlier satiety and increased weight loss.